RAAM Products offers a large selection of 100% natural hair care products that are made with high-quality, plant-based ingredients. Whether you’re searching for all-natural hair growth shampoos or for hair growth leave-in conditioners, RAAM has the best natural shampoo and conditioner for you. Our natural shampoo and conditioner are made using high-quality ingredients which are paraben- and sulfate-free and that work to prevent damage and hair loss while making hair stronger and grow faster along with making it shiny and silky. Our plant-based shampoos and conditioners make the perfect gift for loved ones or as a special treat for yourself. Shop our selection of all-natural hair care products today, as well as our entire collection of all-natural beauty products, and discover or enhance your hair care regimen! 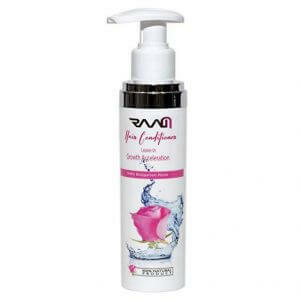 Revitalize your hair with RAAM Hair Growth Accelerating Shampoo with Bulgarian Rose. Our natural shampoo makes your hair grow faster and longer!